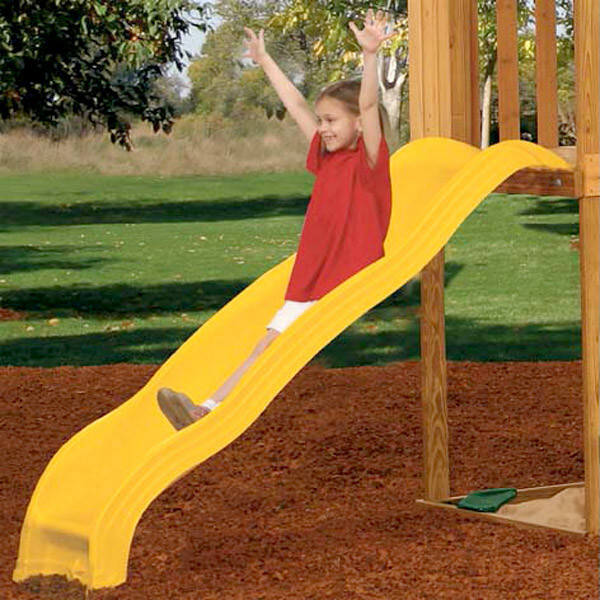 Another great accessory from PlayStar, the Scoop Wave Slide can be added on to any wooden playset with a deck height of 48 inches. 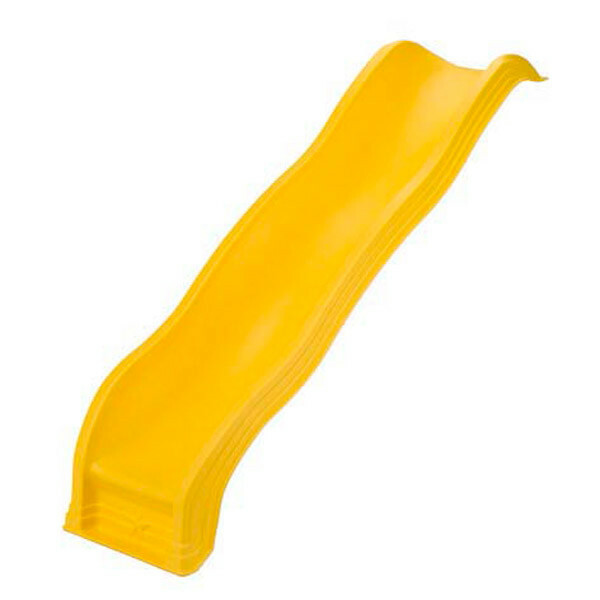 With its unique scoop design, this bright yellow slide has a quick, comfortable ride that will keep kids coming back for more. Built to the quality PlayStar standards, the Scoop Wave Slide will not crack, break, or fade. It is also extra safe for kids with a deeper and wider design than most other slides of this style. Whether you're adding a slide or replacing one your kids have outgrown, this slide is a great choice.